Each year we marvel at the quality, diversity and talent that is the essence of what makes this festival so special, and each year it redefines us. A folk festival gives participants and attendees an opportunity to express their differences and celebrate their unity with the Tablelands Folk Festival promise of magic-through-music being delivered year after year. This festival is now a part of the DNA of this wonderful township of Yungaburra (Janggaburru) and reinforces its rich cultural traditions as well as new and innovative music and art. The Festival recognizes the role the Organising Committee and all of our volunteers play in producing such a wonderful event that means so much to the community and leads the way in celebrating and profiling music and culture. The accolades from 2017 were enormous, and we’d truly like to thank every single person who has volunteered at Tablelands Folk Festival during the past 38 years, this event is for you. The 2018 Festival is a celebration of all things ‘green’. We’ve introduced a no bottled water policy and provide every performer and volunteer a re-fillable water pouch. Through not for profit organisation ‘Who Gives a Crap’ we’re providing every camper their own personal roll of toilet paper – made from recycled paper and fully bio-degradable. ‘Who Gives a Crap’ donate 50% of all profits to improving sanitation in developing countries around the world and we’re proud to be associated with them. We’re encouraging the businesses and shops around Yungaburra to ‘Go Green’ on Festival weekend. We’re introducing plastic and aluminium recycling cages around the town in line with the soon to be introduced Queensland Government refund scheme. Many Festival performers focus their song writing on environmental issues and we’re looking forward to hearing what they have to say. 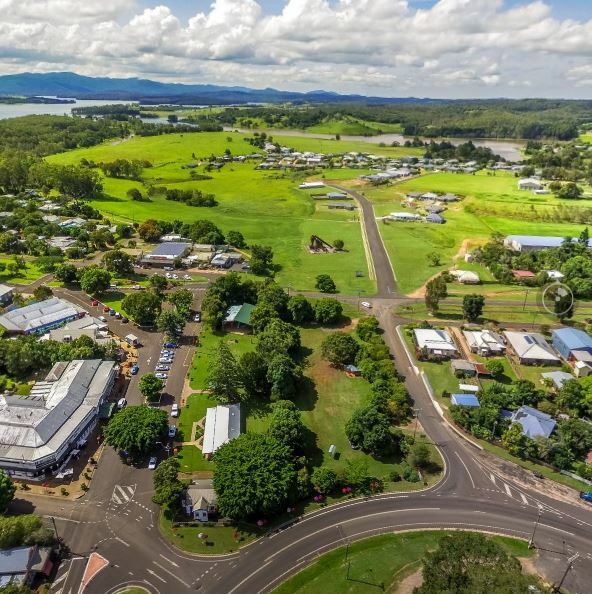 With the serenity of the rainforest, mountains and crater lakes as a backdrop, the heritage village of Yungaburra comes alive with internationally renowned acts performing alongside emerging local talent in a variety of venues throughout the Village. From the big stage to the more intimate and casual, everyone is sure to find music to lift their spirits, freshen their mind and get their toes tapping.